Carlo Bassi was hit by a stroke on the night of April 26, he left his wife and four children at the age of 54 years. Carlo Bassi was a manager of long experience, since September of 2010 had become a shareholder of Borile motorcycles. 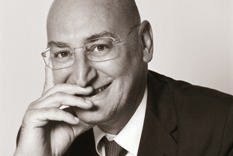 Carlo Bassi was in his past a producer of news programs for Mediaset and Odeon TV in 1983, he occupied himself in advertising, public relations and has been managing director of Carat Vision, FilmItalia, Fiera Milano Expo Cts and Class Rome, Class Editors. In 2008 he became a shareholder of Sartoria Milan Acquadimare, then the medical center Ambrosiano of Borile, and Sciallino yacht which he was also president. In 2012 he founded BackToWotk24, Gruppo 24 Ore, and last year was elected to general director of the Foundation of the Anthonys Father. A funeral was held yesterday Tuesday, April 28 at 10 am in the parish of San Giuliano, in Cologno Monzese.